Have you ever come across a slow drain? Most of us probably have experienced that! Lots of times, the hair would get down the drain and you wonder how come the drain is getting slower and slower! That is because the hair has clogged up the drain. There is a simple tool called Zip-It Drain Cleaning Tool you could use to get this unclog very easily. 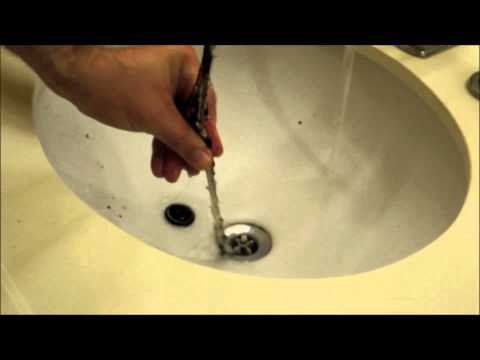 The following video Dave is going to show you how to use Zip-It to unclog a slow drain in the bathroom sink. Thank you for watching! We hope this little video is useful! Please send us comments and suggestions. We love to hear your tips and tricks!